All the work exhibited is drawn from a love of gardens and the natural world with inspiration found in plants, flowers, birds, butterflies and bees. 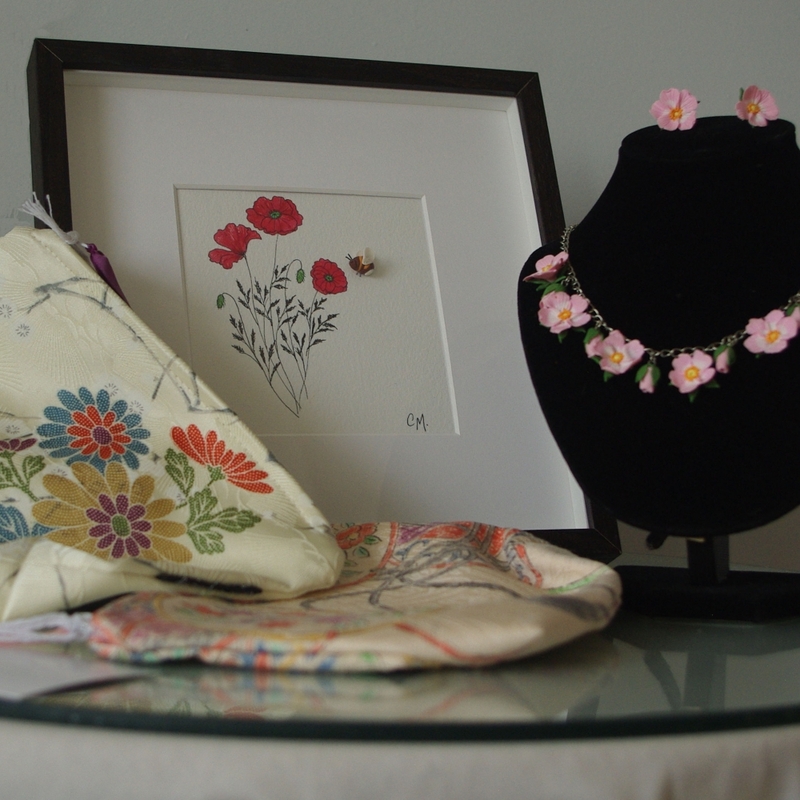 The mediums used are watercolours, textiles; mainly silk and polymer clay. Polymer clay is a relatively new medium which is pliable and can be moulded and blended into individual three dimensional forms which are cured in an oven. They are then used to create a range of gifts from pictures to jewellery. Meg Ashley is a painter and potter living on the North East coast. She paints landscapes of the moors and coastline in acrylics and has exhibited locally and abroad. Her ceramics are more eclectic, ranging from large sculptural pieces to small whimsical items. 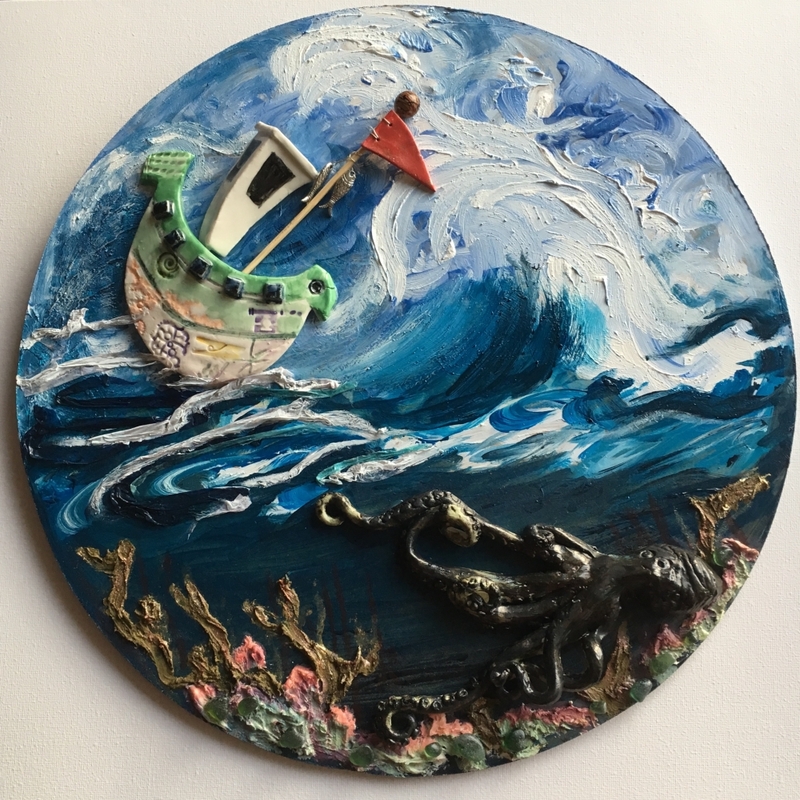 Recently she has combined both painting and ceramics to create textural 3D mixed media pieces based on fishing boats and the sea.